For information on filtering by jurisdiction, please visit this page. 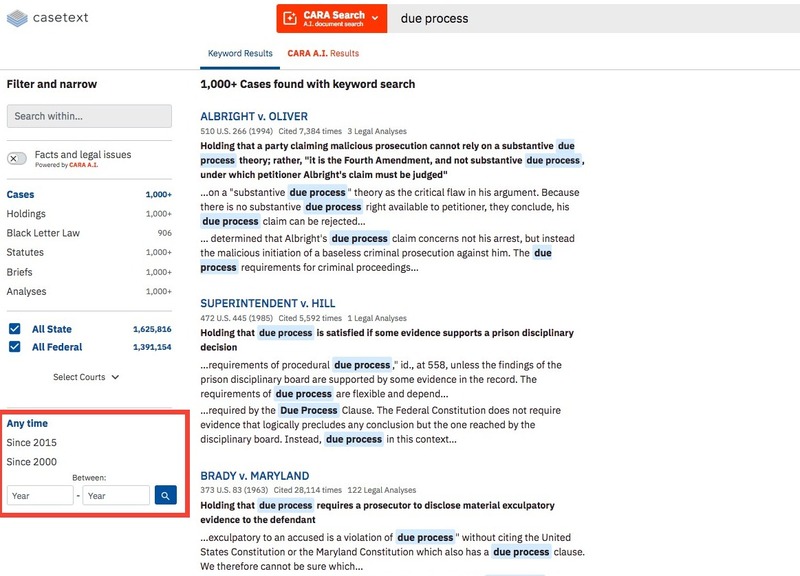 You can use the date filter in the lower left corner of your search results to capture cases from specific years. You can use the “search within” box in the upper left corner of your search results screen to add terms to further focus your search.